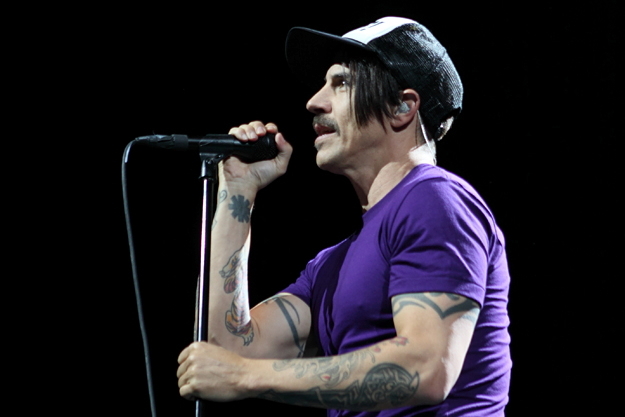 Red Hot Chili Peppers were already planning to be in New York for a Super Bowl weekend concert. Now word has it that the band will get in some extra work under a much larger spotlight. The Los Angeles Times reports that they’ll join Super Bowl XLVIII halftime headliner Bruno Mars during his mid game festivities. Though the performance has not been publicly announced, the paper reports that Mars will appear on the FOX coverage of the New Orleans Saints-Seattle Seahawks game on Saturday where he’ll reveal the Chili Peppers participation. RHCP are currently scheduled to headline the WFAN-sponsored ‘Big Hello to Brooklyn‘ bash on Saturday night (Feb. 1) at the Barclays Center and now may be part of the biggest television event of the year. The group’s tour schedule is sparse at the moment, with the Brooklyn show being the band’s next date. Afterward, they’ll head to the Philippines in February and South America in late March and April for several festivals including Lollapalooza Chile and Lollapalooza Argentina. Update: On Saturday’s FOX pre-game show, Bruno Mars did indeed appear to announce that he would be joined by Red Hot Chili Peppers at the Super Bowl XLVIII haftime show.